Rubber Room Ramblings: IMPORTANT REMINDER!! 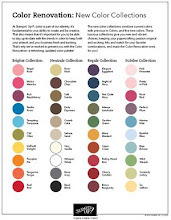 TODAY IS THE LAST DAY TO PRE-ORDER YOUR NEW 2009-2010 IDEA BOOK AND CATALOG! On July 1st, you can begin ordering from the brand new 2009-2010 Idea Book and Catalog. 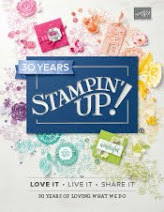 I love Stampin' Up's! 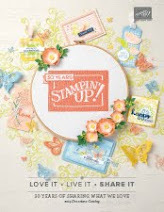 Idea Books and Catalogs, because they showcase Stampin' Up! stamps and accessories beautifully and they are always overflowing with wonderfully-creative ideas for all your handmade projects. For a limited time you can pre-order your 2009-2010 Idea Book and Catalog for half price. From June 1, 2009 to June 10, 2009 you can pre-order your IBC for only $5. 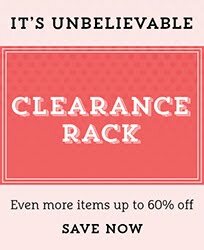 After June 10th, 2009 your catalog price will be $9.95, so don't delay. Contact me today!